U.S. Senator Orrin Hatch (R-UT), U.S. Senator Ben Cardin (D-MD), U.S. Representative Christ Stewart (R-UT), and U.S. Representative Grace Meng (D-NY), introduced a bi-partisan and bi-cameral bill to award the Congressional Gold Medal, the highest civilian award bestowed by U.S. Congress, to the late Egyptian President Anwar Sadat. "This year marks the 40th anniversary of the late Egyptian President Anwar Sadat's inspiring trip to Jerusalem and his historic speech to the Knesset, where he proposed ending 30 years of hate and enmity between his country and the State of Israel." 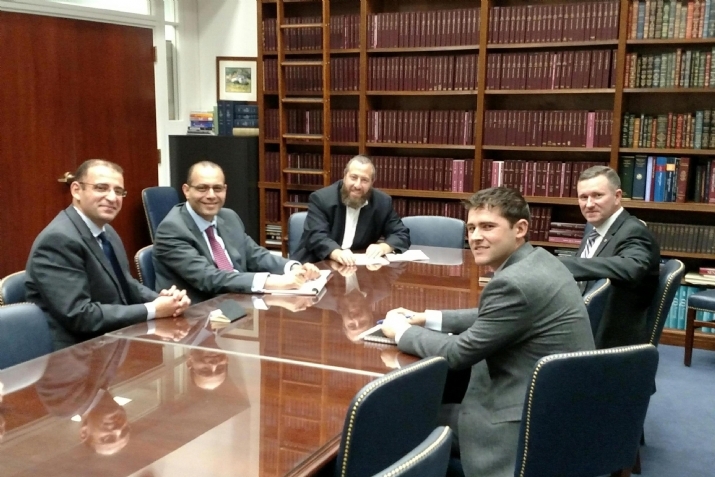 - said Ezra Friedlander, CEO of The Friedlander Group founder of the Anwar Sadat Congressional Gold Medal Commission that is spearheading the advocacy effort to secure 2/3 both Houses of Congress/criteria for passage of the legislation. 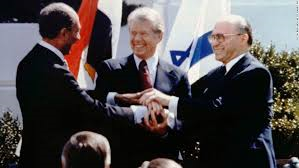 In a series of meetings arranged by former U.S. President Jimmy Carter and held at Camp David, Sadat and former Israeli Prime Minister Menachem Begin negotiated the peace treaty that came to be known as the Camp David Accords. 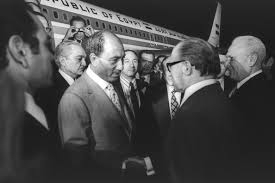 "What is most remarkable about Sadat's diplomacy is the dramatic first step he took toward peace by visiting Israel before negotiations commenced. This symbolic yet courageous action and his speech to the Knesset electrified the world at large riveted the people of Israel generating goodwill which significantly contributed to the success of the peace negotiations," continued Friedlander. 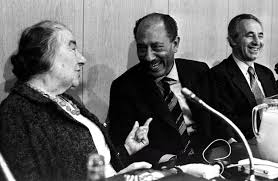 Sadat boldly addressed the Knesset declaring, "Together we might build a durable peace based on justice, to avoid the shedding of one single drop of blood from an Arab or an Israeli. It is for this reason that I have proclaimed my readiness to go to the farthest corner of the world." "Sadat took countless personal risks to achieve a society grounded in peace and diplomacy - an endeavor that ultimately cost him is life," explained Sen. Orrin Hatch. "Thus, awarding Sadat with the Congressional Gold Medal celebrates and gives homage to Sadat's courageous, remarkable, and enduring imprint on history." "President Sadat was the first Arab leader to recognize Israel. He displayed courage and vision when he negotiated the Peace Treaty, fundamentally changing the course of history in the Middle East for the better," said Senator Ben Cardin, the ranking member on the Senate Foreign Relations Committee. "Awarding him the Congressional Gold Medal honors this legacy and underscores the enduring commitment of the United States to upholding the Peace Treaty between Egypt and Israel." "Sadat was a once-in-a-generation leader," said Rep. Chris Stewart. "He demonstrated a moral and political courage that is rare among world leaders, and which transformed the course of history. It's wholly appropriate that we recognize that courage with the Congressional Gold Medal." 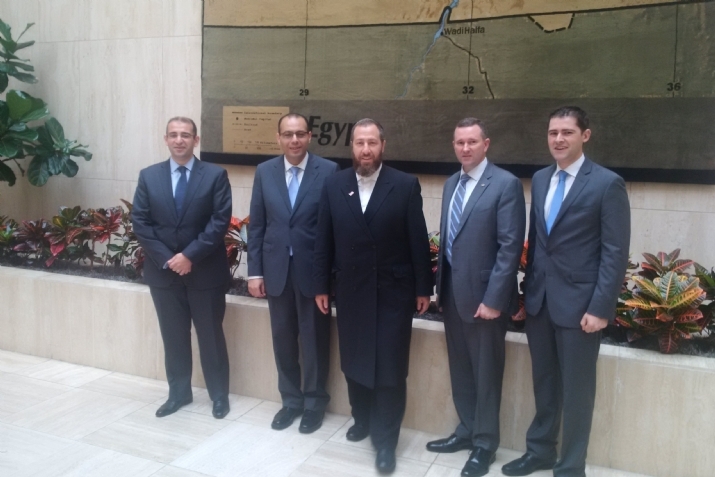 "Anwar Sadat was an extraordinary leader, visionary and peacemaker who as President of Egypt became the first Arab leader to visit and recognize Israel," said U.S. Rep. Grace Meng. "Awarding him with the Congressional Gold Medal would be an outstanding way to honor the enduring legacy he left behind, and pay tribute to his courage, and the contributions he made to peace in the Middle East. I'm proud to help introduce this bill, and I urge the House and Senate to pass it." The goal is for the Congressional Gold Medal to be presented to Sadat's widow, Mrs. Jehan Sadat and a member of the Egyptian government in honor of the centennial of Sadat's birth in 2018. "The Medal will remind the world of Sadat's steadfast contributions to the history of peace in the Middle East and the enduring treaty with the State of Israel which greatly contributes to Middle East stability, serving the national security interest of the United States." - concluded Mr. Friedlander. 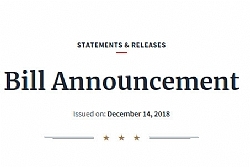 On Thursday, December 13, 2018, President Donald J, Trump signed into law, H.R. 754, the "Anwar Sadat Centennial Celebration Act", which provides for the posthumous award of a Congressional gold medal to the late Egyptian President Anwar Sadat in recognition of his heroic achievements and courageous contributions to peace in the Middle East. S. 266, A BILL TO AWARD THE CONGRESSIONAL GOLD MEDAL TO ANWAR SADAT IN HE CAN ARE IN ADDITION OF HIS HISTORIC ACHIEVEMENTS AND COURAGEOUS CONTRIBUTIONS TO PEACE IN THE MIDDLE EAST.